Mum and Dad arranged to come over for my birthday and use some of their time-share trial points to stay at a resort in Ballarat. Unfortunately they couldn’t get a booking over the weekend of my birthday, instead ending up having to check out the day before. So I convinced them to stick around for that next weekend as well and booked a short term holiday home in Echuca for us all to stay in (including my Aunty Ros and Uncle Dave from Coffs Harbour who came down to spend the week with my folks in Ballarat). 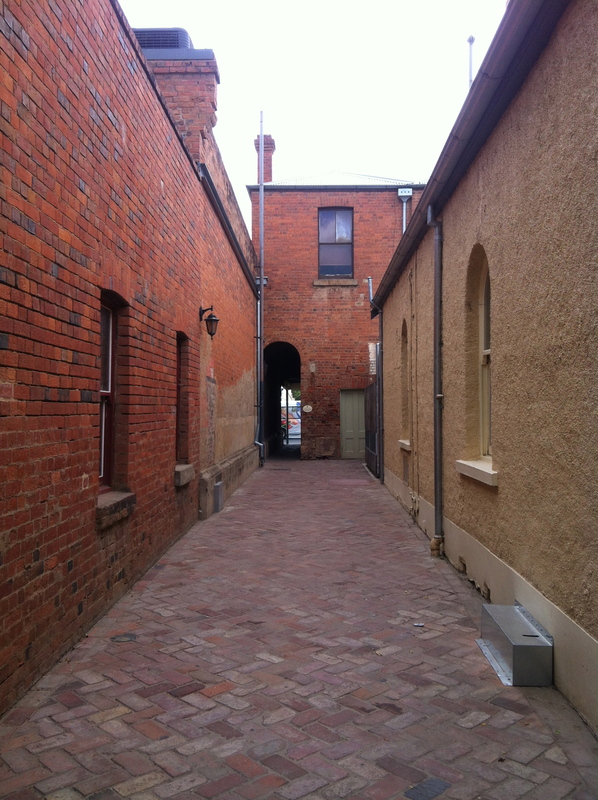 Echuca is such a captivating place! And it is beautifully complemented by Moama across the river in NSW. Quite the tourist destination, the care taken in maintaining the town is notable – it seems such a clean, cared for and vibrant place. The house I chose is the best Stayz accommodation that I have ever experienced – excellently equipped, very clean, beautifully maintained gardens and obviously well loved. The evaporative air-cooling system did a fantastic job of coping with the unseasonably hot weather (mid-high thirties every day of our visit) and therefore keeping the old people happy that we had a cool refuge to return to! 🙂 All round, a real pleasure to stay in for a few nights. On my birthday we did the obligatory paddle-steamer cruise – this one to Morrisons winery for tasting and a gorgeous two-course lunch. The steamer we travelled on – called the Pevensey – was used in the tv series / film All the Rivers Run, which I remember from my childhood – well, I remember the name and that John Waters and Sigourney Weaver were in it, but don’t actually recall at all what it was about! Anyway, it was an enjoyable day out, though exhausting. Big lunch and wine during the day equals big collapse later on!! 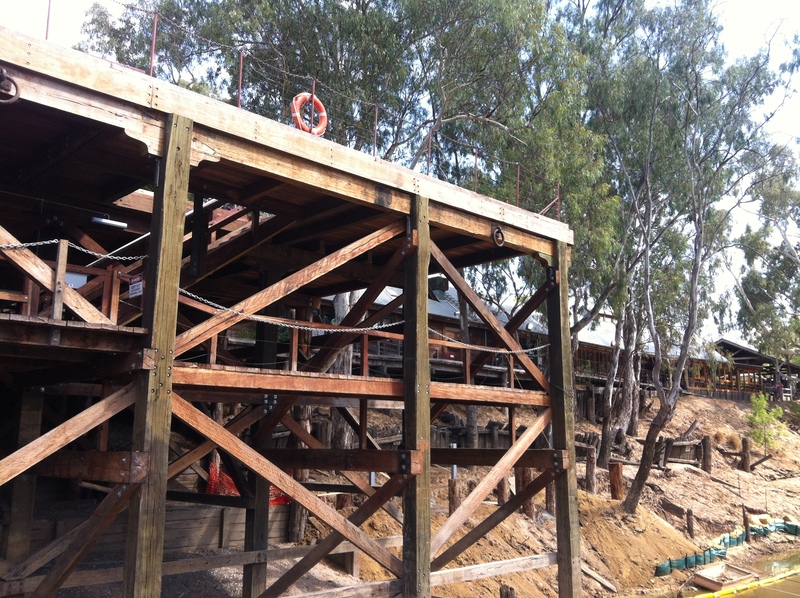 The Port of Echuca is undergoing a $12.2M revitalisation project, due to be finished by 2014. There is some extraordinary work going on to preserve this piece of history – which was once one of the busiest ports in Australia. The re-built port structure from which we boarded the paddle-steamer was an extraordinary creation, quite a monstrous piece of work. Presumably made of Murray River red gum? The historic port precinct was also enjoyable to potter about – we tasted wines and ports at St Anne’s Winery, fudge at a funny little place with a penny arcade and old fashioned cinema, looked at lots of souvenirs we didn’t buy at several shops along the street, avoided the lure of the gorgeous looking Star Hotel and discovered the 1800s purpose built brothel lurking in behind a beautiful garden with large shady trees. We caught the Moama Market on the Sunday morning – and my faith in markets has been restored, hooray! During my travels, I’ve tried to catch markets wherever I could, but to be honest have usually been disappointed. Many of them are filled with trash & treasure type stalls, or cheap tat stalls you find everywhere that really don’t do much for me. I like the ones that have fresh local produce and local handcrafted unique stuff that isn’t the usual garish, crocheted acrylic tatt. I saw there perhaps the most unique glasses I’ve ever seen – made from empty beer / premix bottles by cutting the neck off and re-attaching it to the base as a stem. All different brands, and some tumblers too. Very creative! 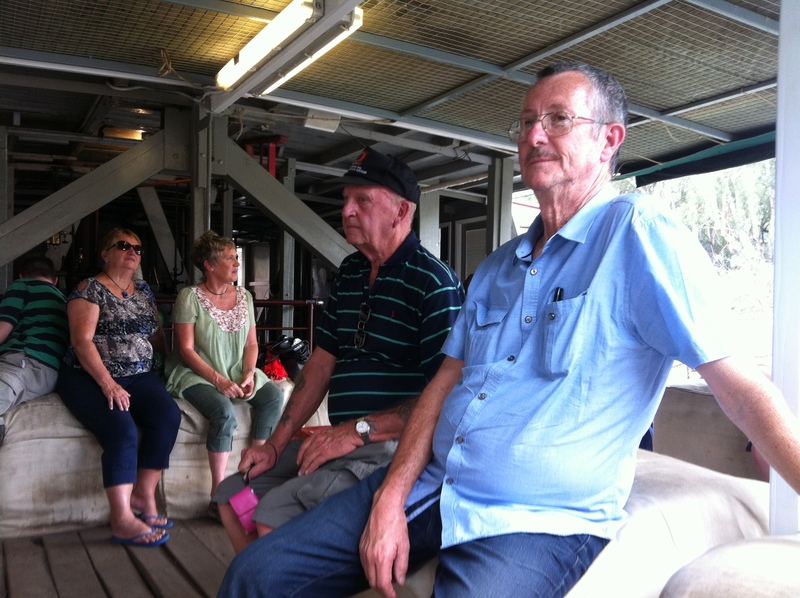 This entry was posted in Uncategorized and tagged Echuca, Echuca Port, Moama, Morrisons Winery, Pevensey paddle steamer. Bookmark the permalink. I’ve always wanted to visit Echuca and go on a paddle steamer as I was obsessed with All the Rivers Run! But I think you mean Sigrid Thornton, not the equally fabulous Sigourney Weaver, that would have been a completely different movie 🙂 Maybe an Alien attack on the Murray? ?